Already a classic and widely used text, this second edition has been wholly revised and updated in the light of the many discoveries made since its first publication. Michael Rice's bold and original work evokes the fascination and wonder of the most ancient period of Egypt's history. Covering a huge range of topics, including formative influences in the political and social organization and art of Egypt, the origins of kingship, the age of pyramids, the nature of Egypt's contact with the lands around the Arabian Gulf, and the earliest identifiable developments of the historic Egyptian personality. 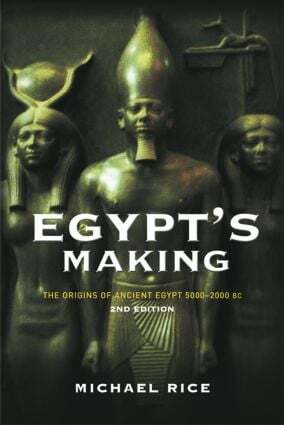 Egypt's Making is a scholarly yet readable and imaginative approach to this compelling ancient civilization.